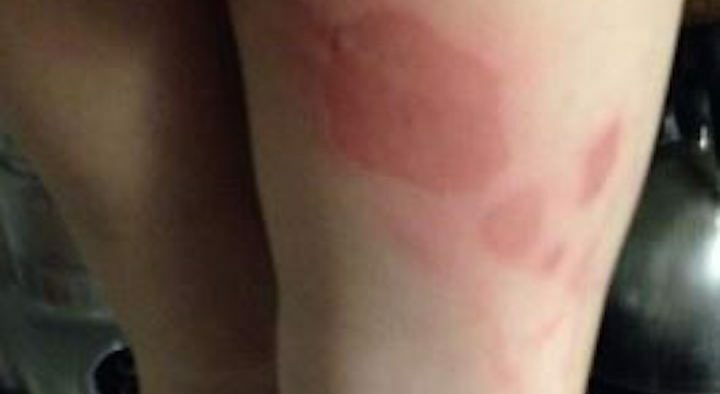 Second Degree Chemical Burns from Huggies Diapers-Unproven! - Truth or Fiction? 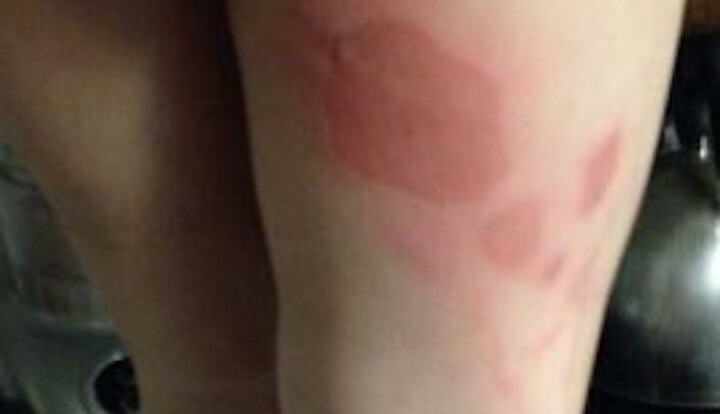 Second Degree Chemical Burns from Huggies Diapers-Unproven! Warnings on Facebook have gone viral alleging that using Huggies Snug and Dry diapers on babies could result in second degree chemical burns. TruthOrFiction.Com was contacted a spokesperson at Kimberly-Clark who gave us an official statement saying that “there is no indication that this complaint is part of any larger product issues.” The statement also said that such customer complaints are rare but when Kimberly-Clark hears about them they follow up to ensure the safety of their products. At HUGGIES, nothing is more important than the safety of the little ones who use our products. Families have put their trust in HUGGIES diapers for decades and all of our diapers have been thoroughly tested to ensure they are safe. Our primary interest remains with the wellbeing of the child involved. When we first learned about this report, we immediately reached out to the mom to express our concern and learn as much as we could about what happened. In addition to requesting samples of the diapers used by the mom for testing, we also initiated an internal review. While we have not yet received any samples from this consumer, our internal review has not found any product issues or abnormalities. We understand how deeply moms care about the health of their baby’s skin and we are always troubled by any report of skin irritation. In each and every case, we try to work closely with the moms to learn about their individual situation to ensure that our products can better meet their needs and help inform our ongoing product development. All of our products must pass stringent safety reviews prior to making it to retailer shelf. This review includes the superabsorbent material in question which has been thoroughly evaluated by more than 450 medical and scientific studies and has been used safely for years in our HUGGIES products and across the diaper industry. There is no indication that this complaint is part of any larger product issues. Complaints of this nature are highly unusual – in fact over the past six months the rate is about one for every 40 million diapers sold. We take our responsibility to provide families with products they can use with confidence very seriously, and will continue to do everything we can to understand what occurred and how we can help. The Superabsorbent materials (SAM) found in HUGGIES diapers is being used in virtually all disposable diapers on the market today. Superabsorbent materials (SAM), also known as polyacrylate absorbents, are a family of polymers that have extraordinary absorbency — the particles will absorb up to 100 times their weight in moisture. The safety of superabsorbent material has been proven in more than 450 consumer safety tests that have studied every way a person could come in contact with it — through skin contact, ingestion or even inhalation. Each study has consistently demonstrated the safety and efficacy of this material. The crystals in the diaper are forms of a superabsorbent material that’s been used in diapers for many years. The superabsorbent material looks like a tiny bead when it’s dry and looks like a gel when it’s wet (and mixed with the other fluffy fibers in the diaper). Superabsorbent material in diapers offers significant benefits, like drawing wetness away from baby’s skin and helping to keep baby’s skin healthy. In HUGGIES diapers, superabsorbent material is mixed with the fluffy diaper padding. This material turns liquid into a gel, helping to prevent leakage. Occasionally, you may see small beads of gel on the diaper or on your baby, but the gel is nontoxic and not harmful. **ATTENTION*** DIAPER USING PARENTS!!! ***Do NOT use HUGGIES SNUG AND DRY DIAPERS!!! This past Friday night my 21 month old son Parker was treated in the emergency room for 2nd degree Chemical burns on his leg. This was caused by the diaper breaking and the gel on the inside of the diaper being trapped in his pants on his leg while he napped! I am in the process of filing formal complaints with Consumer Affairs and the Better Business Bureau! These departments have informed me Parker is not the only case of this!!! PLEASE SHARE this for all to see and maybe prevent another innocent baby from being harmed!